Walter and Robert Cowan came to the Gladstone area around 1859. Walter went into the hotel trade while Robert was more interested in life on the land and initially worked for Robert Bell at Stowe, Calliope. 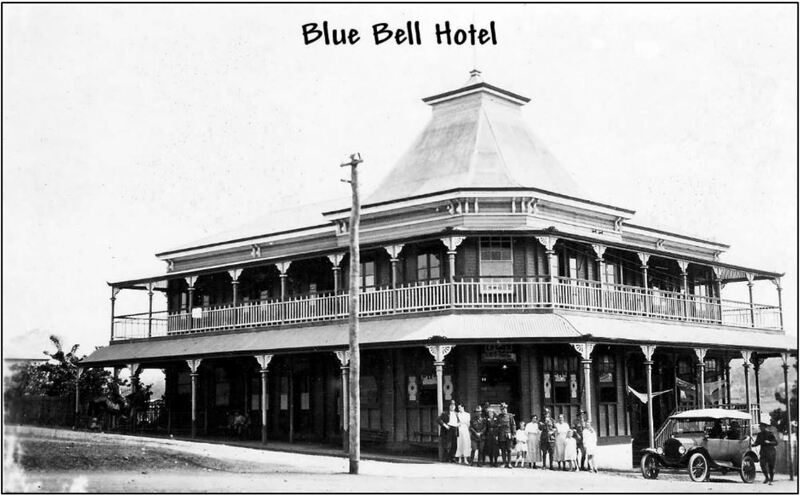 The Blue Bell Hotel was built on the corner of Yarroon Street and China Lane (now Central Lane) and Walter and Sarah Cowan ran this hotel until 1892. It was called the Blue Bell Hotel until 1950 when it was changed to the Ocean View Hotel and in 1999 it became the Port Curtis Hotel. It has since had more name changes.